MORRISVILLE, NC--(Marketwired - Apr 5, 2016) - The real estate industry's Real Estate Standards Organization (RESO) is launching a new automated data standard compliance testing platform and certification accelerator tool in partnership with the real estate big data tech company Software Incubator Inc. USA. 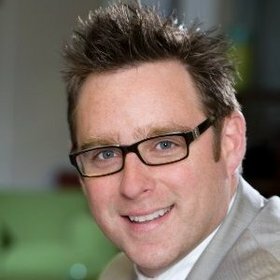 Believed to be the first of its kind automated testing platform for Data Standards and Compliance for the real estate industry, the new service was specifically created for the RESO Data Dictionary, which is now available to more than 1,000,000 members of Multiple Listing Services (MLSs) nationwide. "This new accelerator testing platform will help rapid adoption of current and future data standards," says Jeremy Crawford, Executive Director of the nonprofit organization. "More than 770 MLS organizations will benefit from this innovation, providing cost savings and reducing their time to market as they can more rapidly test and then deploy new Data Dictionary standards." Crawford explained that the new platform will allow for "anonymous, guest, and vendor testing prior to submitting for certification" and that RESO staff will also be using this as a testing tool. RESO engaged Software Incubator Inc. to create this new testing tool. "REDataCloud APIs, which are offered through Innovation Incubator's PropMix, is going to be huge for MLS and real estate software vendors," Crawford adds. "It allows MLSs to test against all levels of our Data Dictionary certification program, including bronze, silver, gold and platinum." Matt Kumar, CEO of Software Incubator Inc. and Chairman of Innovation Incubator Inc., notes that the new compliance test and verification tool simplifies the challenges around proactively addressing compliance gaps by providing powerful gap analysis and easy to follow and prescriptive remediation steps. "RESO is a game changer in the real estate industry, thanks to RESO's vision and leadership," said Matt Kumar, CEO of Software Incubator Inc. "We are excited about the opportunities that will emerge as we partner with MLS firms. Software Incubator's goal is to play a key role in helping to transform real estate's ecosystem by helping to innovate and rapidly implement RESO standards globally." The mission of the Real Estate Standards Organization (RESO) is to create and promote the adoption of standards that drive efficiency throughout the real estate industry. RESO incorporated in November 2011, as an independent, not-for-profit trade organization that was previously a section of the National Association of REALTORS®. The RESO has more than 500 active members, including NAR, multiple-listing services, real estate associations, brokerages and industry technology providers. For more information, visit www.reso.org.